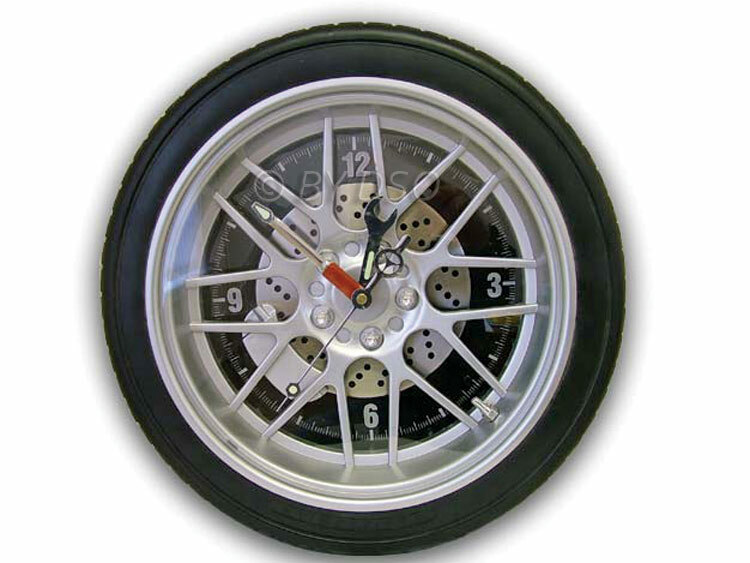 This accurate, detailed in design, large clock is exactly like a car wheel complete with tyre and disc brake making this a perfect focal point for any room. The hands are look-a-like spanners and the wheel is complete with disc brake caliper and air valve. Ideal for in the garage, workshop or in the house for every car enthusiast.